Creativity + Passion + Experience = Results. Using personalized mailing labels as a direct mail freemium is nothing new, but they never performed as well for public broadcasting stations as they did for many other nonprofits. Well, sometimes what is old is new again. In the summer of 2017, NextGen reintroduced a North Carolina Discovery Labels version of the control package for UNC-TV, the statewide public television network of Public Media North Carolina. The test results for both acquisition and lapsed segments far exceeded expectations. In the initial test, the acquisition response for the labels version saw a 19% lift in both response rate and revenue. The cost to acquire a donor was just $5, almost unheard these days in acquisition direct mail. The lapsed label version also won the test with flying colors, garnering a 49% lift in response and a 77% lift in revenue. Recently, we are testing label images generated through a social media photo contest against the original Discovery images. 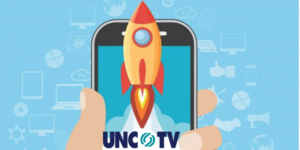 The UNC-TV label testing is proof that sometimes innovation is easily achieved by adding new twists to tried and true campaigns. 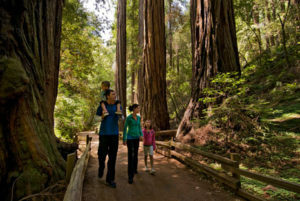 California’s fiscal problems meant that Save the Redwoods League needed extra funds from donors to buy an unprotected redwood forest. Our campaign focused attention on the property sale date and brought to life the ecological value of the property. Exceeding the revenue goal by 177%, it was the League’s strongest appeal in years.